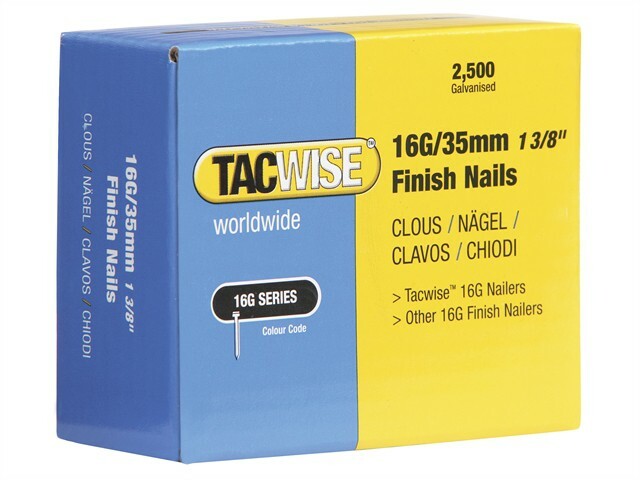 Tacwise Air Powered Nailers: DFN50, DFN50WHH and FFN64LHH. Tacwise Battery Powered Nailers: Ranger 2 16G Nailer. And all other nailers that take 16g straight finish nails.